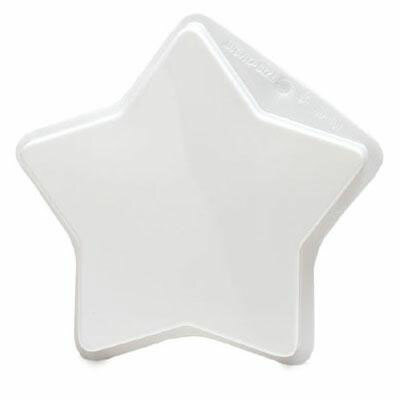 Brand: XCELL International XI-1030 Units: 1 jar/ 3.3 oz. total Celebrate America all year long with this special selection of Red, White and Blue Sprinkles. Jar has 6 individual compartments. Assortment includes patriotic stars, red sugar, blue sugar, white sugar,red balls, and patriotic non-pareils. 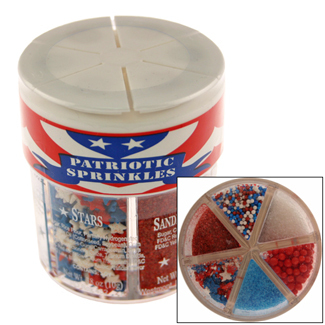 Celebrate America all year long with this special selection of Red, White and Blue Sprinkles. Jar has 6 individual compartments. Assortment includes patriotic stars, red sugar, blue sugar, white sugar,red balls, and patriotic non-pareils. Ingredients: Sugar, Rice Flour, Partially Hydrogenated Vegetable Oil (Cottonseed and Soybean), Corn Starch, Cellulose Gum, Carageenan, Soy Lecithin, Confectioner's Glaze, Gum Arabic, Titanium Dioxide, FD and C Red 40, Yellow 6, Blue 2 Lake, Blue 1, Blue 2, Carnauba Wax.